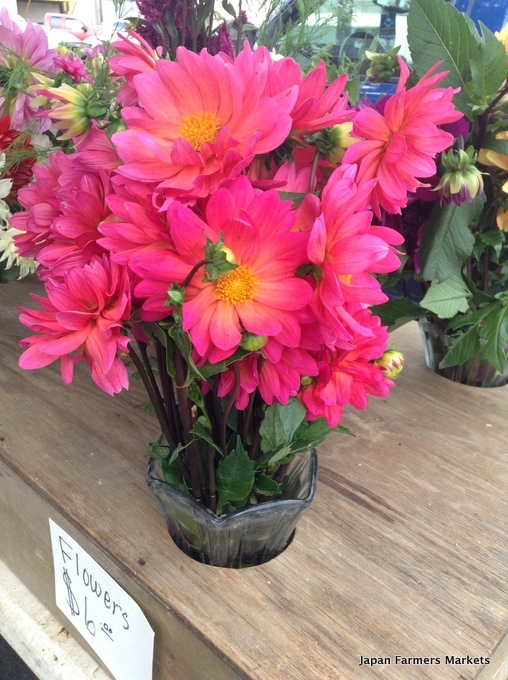 Bursting with color at the Portage Farmers Market. Rainy season is here in earnest, so if the sun shines it is best to leap out the door. And what better thing to do upon leaping than head to a farmers market? There is still time to get all the fixings needed for making delectable treats from ume, and the zucchini are still booming, too. Both of them will soon end their reign, so don't hold back on making the most of the delicious opportunities they present. See you at the market!